Contents: Schools of Masonic Thought; The Egyptian Mysteries; The Cretan Mysteries; The Jewish Mysteries; The Greek Mysteries; The Mithraic Mysteries; Craft Masonry in Medieval Times; Operative Masonry in the Middle Ages; The Transition from Operative to Speculative; Other Lines of Masonic Tradition; The Scottish Rite; and, The Co-Masonic Order. A HISTORY of Freemasonry would be a colossal undertaking, needing encyclopaedic knowledge and many years of research. 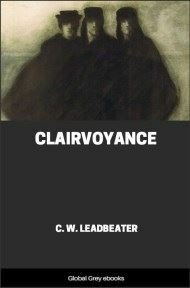 I have no pretension to the possession of the qualities and the erudition required for the production of such a work; all I can hope to do is to throw a little light upon some of the dark spots in that history, and to bridge over to some extent some of the more obvious gaps between the sections of it which are already well known. The actual origins of Freemasonry, as I have said in a previous book, are lost in the mists of antiquity. 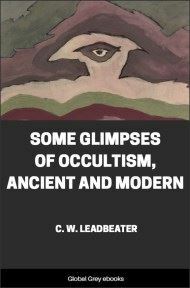 Masonic writers of the eighteenth century speculated uncritically upon its history, basing their views upon a literal belief in the history and chronology of the Old Testament, and upon the curious legends of the Craft handed down from operative times in the Old Charges. Thus it was put forward in all seriousness by Dr. Anderson in his first Book of Constitutions that “Adam, our first parent, created after the Image of God, the great Architect of the Universe, must have had the Liberal Sciences, particularly Geometry, written on his Heart,” while others, less fanciful, have attributed its origin to Abraham, Moses, or Solomon. Dr. Oliver, writing as late as the first part of the nineteenth century, held that Masonry, as we have it to-day, is the only true relic of the faith of the patriarchs before the flood, while the ancient Mysteries of Egypt and other countries, which so closely resembled it, were but human corruptions of the one primitive and pure tradition. As scientific and historical knowledge progressed in other fields of research, and especially in the criticism of the Scriptures, scientific methods were gradually applied to the study of Masonry, so that today there exists a vast body of fairly accurate and most interesting information upon the history of the Craft. 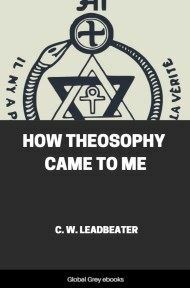 In consequence of this and other lines of investigation there are four main schools or tendencies of Masonic thought, not in any way necessarily defined or organized as schools, but grouped according to their relation to four important departments of knowledge lying primarily outside the Masonic field. 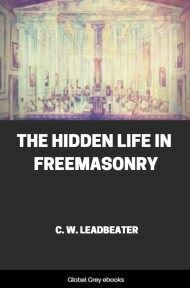 Each has its own characteristic approach towards Freemasonry; each has its own canons of interpretation of Masonic symbols and ceremonies, although it is clear that many modern writers are influenced by more than one school. We may consider first what is sometimes called the Authentic School, which arose in the latter half of the nineteenth century in response to the growth of critical knowledge in other fields. 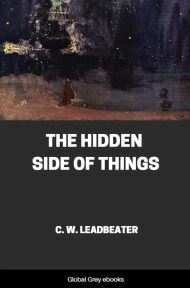 The old traditions of the Craft were minutely examined in the light of authentic records within reach of the historian. An enormous amount of research was undertaken into Lodge minutes, documents of all kinds bearing upon Masonry past and present, records of municipalities and boroughs, legal and judicial enactments; in fact, whatever written records were available were consulted and classified. In this field all Masons are greatly indebted to R. F. Gould, the great Masonic historian; W. J. Hughan; G. W. Speth; David Murray-Lyon, the historian of Scottish Masonry; Dr. Chetwode Crawley, whose work upon the early Irish Craft is in its way a classic; and others of the Inner Circle of the famous Lodge Quattuor Coronati, No. 2076, the fascinating Transactions of which are a precious mine of historical and archaeological lore. Two great names in Germany are J. F. Findel, the historian, and Dr. Wilhelm Begemann, who made the most minute and painstaking researches into the Old Charges of the operative Craft. 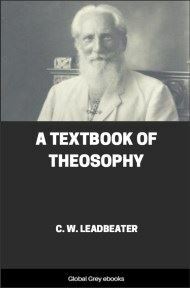 A vast amount of material which will be of permanent value to students of our Craft has become available through the labours of the scholars of the Authentic School. This school, however, has limitations which are the outcome of its very method of approach. In a society as secret as Masonry there must be much that has never been written down, but only transmitted orally in the Lodges, so that documents and records are but of partial value. 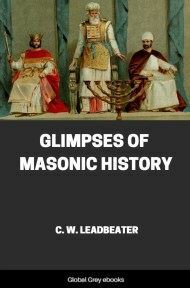 The written records of speculative Masonry hardly antedate the revival in 1717, while the earliest extant minutes of any operative Lodge belong to the year 1598. * (*History of the Lodge of Edinburgh, by D. Murray-Lyon, p. 9.) The tendency of this school, therefore, is quite naturally to derive Masonry from the operative Lodges and Guilds of the Middle Ages, and to suppose that speculative elements were later grafted upon the operative stock - this hypothesis being in no way contradicted by existing records. Bro. R. F. Gould affirms that if we can assume the symbolism (or ceremonial) of Masonry to be older than 1717, there is practically no limit whatever to the age that can be assigned to it* (*Concise History of Freemasonry, by R. R Gould, p. 55. ); but many other writers look for the origin of our Mysteries no further back than the mediaeval builders. Amongst this school there is a tendency, also very natural when such a theory of origin is held, to deny the validity of the higher degrees, and to declare, in accordance with the Solemn Act of Union between the two Grand Lodges of the Freemasons of England, in December, 1813, that “pure Antient Masonry consists of three degrees and no more, viz, those of the Entered Apprentice, the Fellow Craft, and the Master Mason, including the Supreme Order of the Holy Royal Arch.”* (*Book of Constitutions, 1884, p. 16.) All other degrees and rites are, among the more rigid followers of this school, looked upon as Continental innovations and are accordingly rejected as “spurious” Masonry. As far as interpretation goes, the authentics have ventured but little further than a moralization upon the symbols and ceremonies of Masonry as an adjunct to Anglican Christianity.